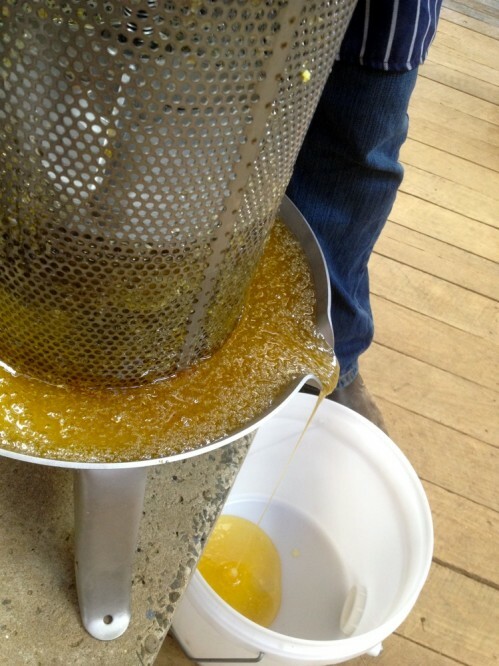 I am a little bit in love with our new honey press. 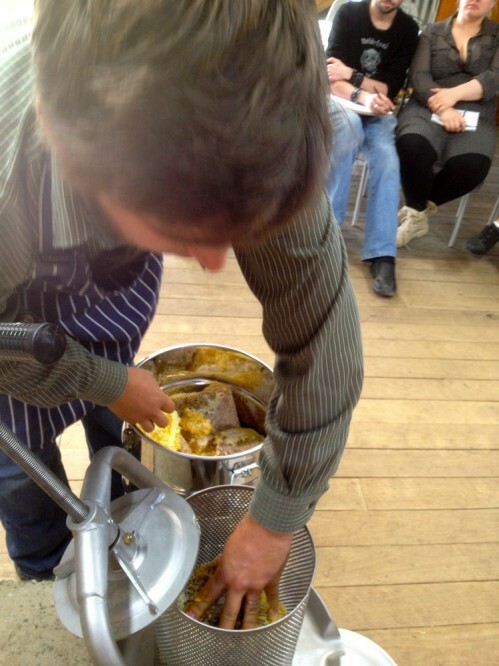 It is made from stainless steel and it can crush close to a whole box of natural honeycomb in one fell squish. 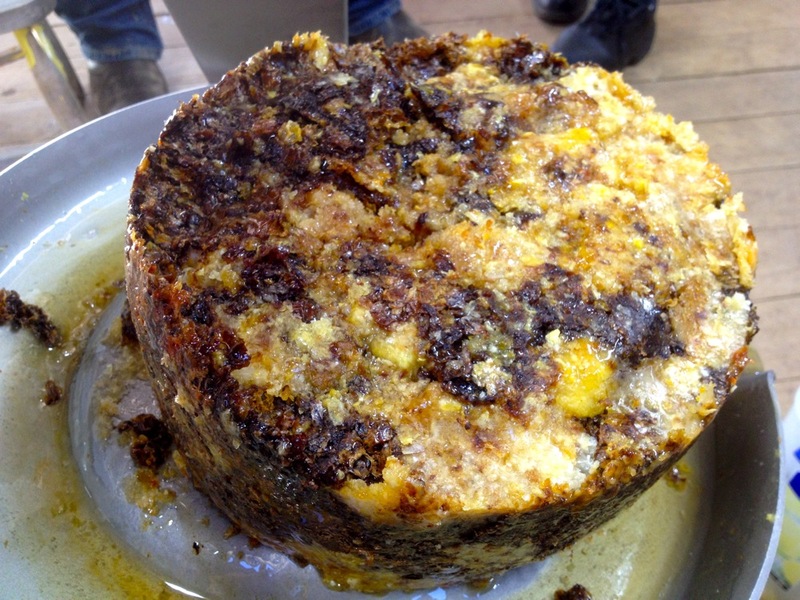 What better way to get all that goodness of the pollen, propolis and of course the honey into the jar? 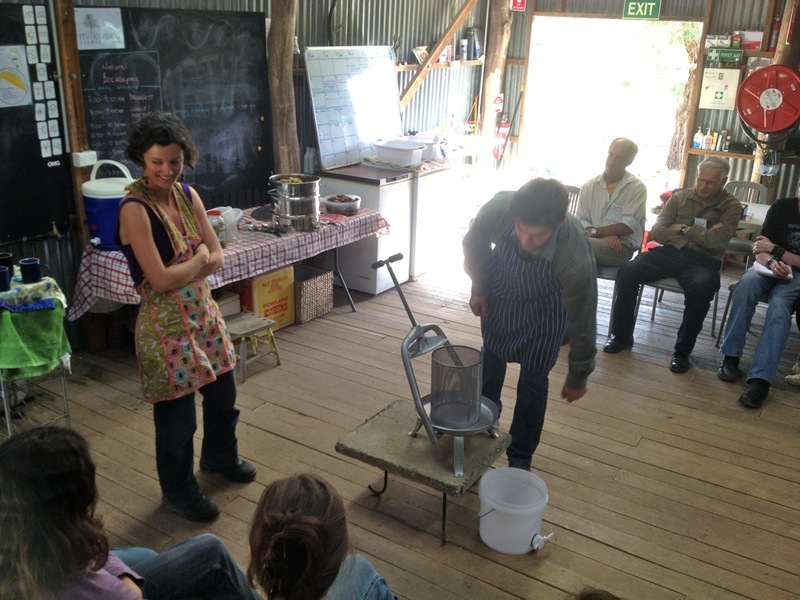 Tim Malfroy got this particular honey press overseas, but I’ve found a couple of models in Australia that look the same, though they’re sold as fruit presses. Apparently these type of presses are used extensively in Africa for top bar beekeeping of various types. And you can also use them to press fruit. Multifunction! Bees are amazingly resilient and adaptable creatures. In a good y . .
More than ever, the world is waking up to the importance of bees . .
Chapter three in Milkwood is all about Natural Beekeeping, and h . .
North Americans see here the how-=to! Reaping the riches of this wondrous land right before your very eyes! I like the red honey! Any ideas as to what kind of plant the pollen is from? Around here (Central Missouri, USA) there is mostly red and white clover, which makes for a very clear, sweet honey. My dad was a beekeeper for most of the time we were kids, but I’ve never seen honey that bright red color. 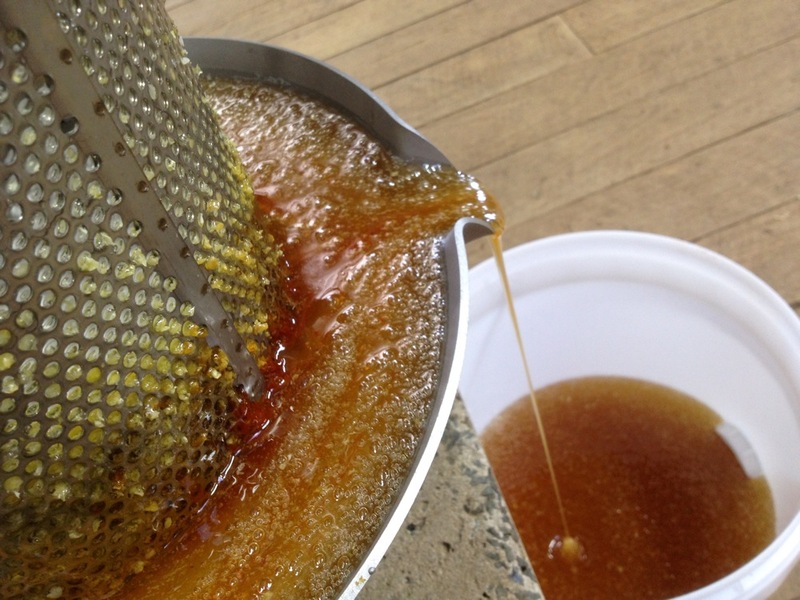 The centrifugal method can only be used for extracting honey in conventional frame beekeeping where the frame and the comb is re-enforced with wires and pre-fab foundation etc, in order to allow the comb to be re-used in the hive once the honey is extracted by centrifuge. 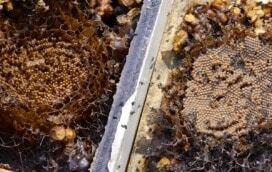 Warré beekeeping specifically does not re-use the comb in the hive after honey harvest, in order to prevent disease, toxin build up and also to allow the bees to build new comb according to the dictates of the next season (no two natural combs are ever the same). Thanks Kirsten – for either the kit jealousy or making me spend money, not yet sure which. 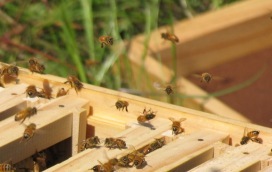 Just today written on the joy of my Warren hive from Tim and can’t wait to see that delicious flow. Mmmm … stainless steel gadgets … mmm! No seriously, looks good. Reckon it’s strong enough to do apples for cider making when not squishing honey comb from our as-yet-hypothetical-Warré-hived-bees? The honey that was produced made my mouth water for sure. Would love to have one but then would have to find wild honey I wonder if I could work out a deal with one of the bee removal guys to get the honey from the hives when they relocate the bees…. Would you please post link to that model of press? 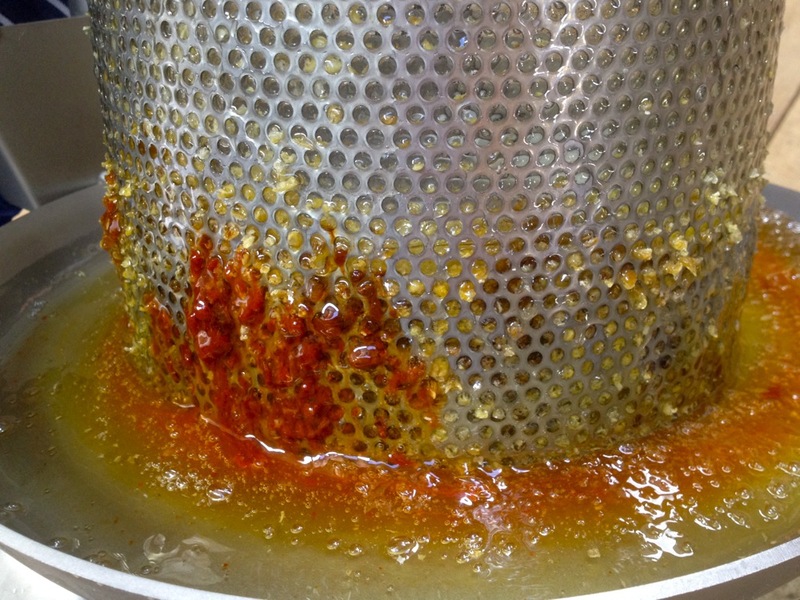 Another difference between pressing vs. centrifuging is that you don’t get some of the aeration that can occur when centrifuging which in turn keeps the honey more as it originally was in the honeycomb cell. 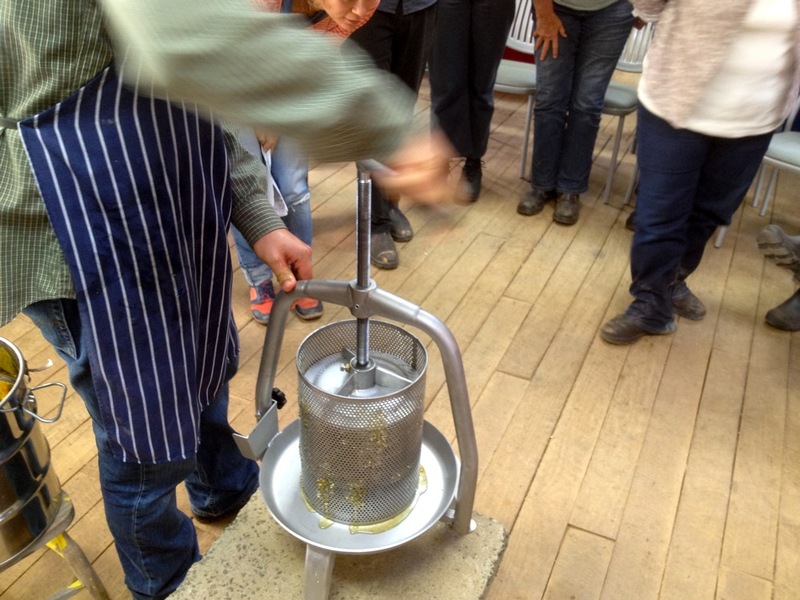 There’s two links to this kind of press in the post above – they’re sold as fruit presses, but used as honey presses, particularly in Africa..
What is the price?do you know of where in Africa I can find it? Constante Imports won’t respond to any of my emails. Brewmaster doesn’t sell the All-Stainless Steel press like this one. Can anyone tell me where I can buy the press used in this demonstration? Compare to the centrifuge, it looks like your method makes much more difficult the cleaning of the wax for use like candles making etc. How do you clean the wax? Do we know where Tim got his from. Was it here in Europe? I know Tim visited France at some point? I think it’s slum gum or something like that..? 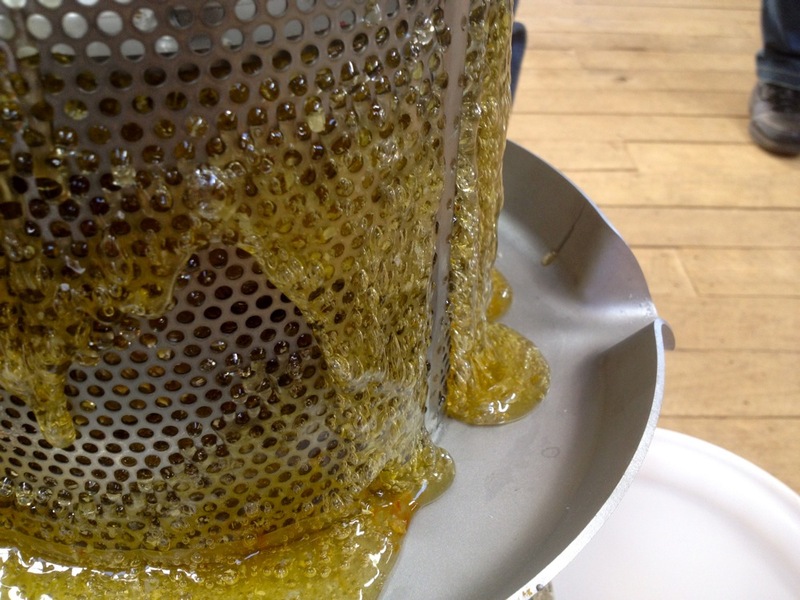 What method do you use to render the wax? 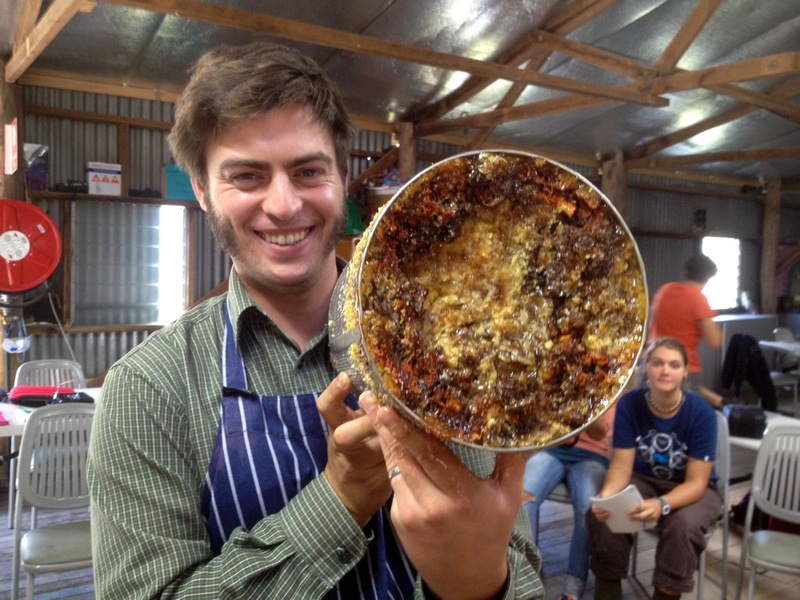 Have you read the book by Phil Chandler called the Barefoot Beekeeper… He is a local here in the UK. Nice fellow. Smart beekeeper. His passion is Top Bar hives. Sorry, one more question… Is this the juicer you used to get all those bottle of apple cider I think I saw on another post? Thanks for the tip! This is my second year beekeeping. I’ve got a fruit press just like yours and never thought to use it for honey. I also use Warre type hives. I’m a beekeeper from Nigeria and I would like to buy one those honey press. How do I go about it? 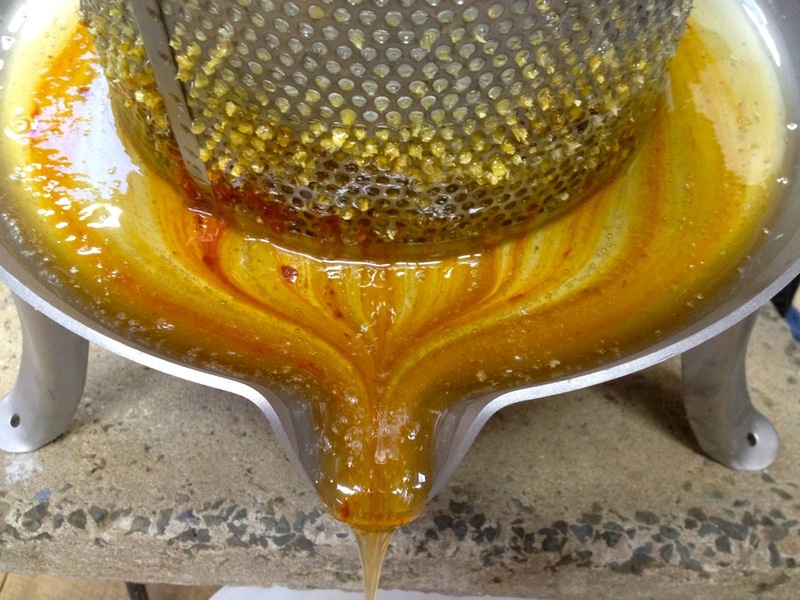 I’m very interested in the honey press would you please forward further information to me including a price please?